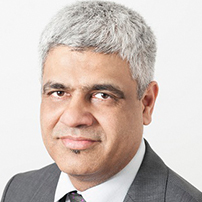 When it comes to diversity in communications and media in the UK – one name stands out and that is of Manish Tiwari. Manish Tiwari founded an agency in 2005 that specialises in brand communications for an increasingly diverse audience. Called Here & Now 365, he made it the UK’s leading specialist advertising and marketing agency through his understanding of the country’s eclectic audiences and influences. In the past eight years he has constantly strived to bridge the communications gap between products and their multicultural audience; especially the South Asian diaspora in the UK. He has leveraged the product value of various South Asian brands such as Patak’s, Lebara Mobile, TRS, Union Bank of India, Bank of Baroda, Western Union, State Bank of India, ICICI and HDFC. Under his leadership Here & Now 365 is also the largest agency representing Indian media in the UK including all major networks such as Zee, Star, Sony, and Viacom 18. It is also the exclusive partner of NDTV 24×7. Through his agency he has also been responsible for launching various Indian brands in the UK such as Brooke Bond Red Label and Taj Mahal Tea. Along with that he has worked closely with the Haryana, Madhya Pradesh and Karnataka tourism boards to promote the states in the UK. Manish has been appointed as the marketing and PR coordinator for the UK Welcomes Modi event, where the Prime Minister of India Narendra Modi addressed the Indian Diaspora at the Wembley Stadium. He has taken on handling publicity for the Regional Pravasi Bharatiya Divas 2014 held in London and also co-ordinated and published a souvenir booklet for the Overseas Friends of BJP (OFBJP) Convention in 2011 and organised the South India Melam in Southbank in 2012, promoting tourism to Kerala. During the World Tourism Market 2017 he was approached by the states of Haryana and Karnataka to promote the tourism options available. Finally, he also received support from Mark Shand, the late brother-in-law of Prince Charles, to raise awareness of elephant corridors in Kerala through charity. He is a member of the London Chamber of Commerce under the Asian Business Association and Here & Now 365 is an accredited member of the IPA Diversity Group, the premium body of advertising agencies in the UK. Manish has also been invited as a speaker at many events to talk about the Indian Diaspora in the UK. He has been the keynote speaker at the MSDUK Supplier Diversity Day 2015 in Leicester where he addressed the audience on the importance of multicultural marketing, the Asia-Pacific Technology Network – Prospects for an Innovative India where he spoke about the impact of social media on the Indian elections and at the Doing Business in India with Essex Chamber of Commerce. He has many accolades to his name including winning the Bharat Guarav Award 2017, Small Business of the Year Award 2017 by the London English Asian Business Awards Small Business of the Year Award 2015 by the English Asian Business Awards and presented by Lloyds Banking Group, The Best Social & Charitable Campaign 2014 by Asian Media Awards 2014 presented by ITV, the Asian Lite Campaign of the Year Award for three years consecutively in 2011, 2012 and 2013, the UK Telegu Association award for outstanding contribution to the community and Sanch Foundation award from Baroness Verma in 2013. Here & Now 365 has also been awarded Best Agency of the Year by B4U and the CBS award for Best Campaign Depicting South Asians in 2012. Now heading a group of 20 people, Manish is a name to reckon with in the world of multicultural marketing by making products matter to people irrespective of caste, colour and creed but at the same time understanding each cultural group’s sensibilities.